SHREVEPORT, LA (KSLA) -The Shreveport Police Department is in need of the public’s help to identifying two suspects allegedly responsible for the murder of Domino’s Pizza delivery driver, 28-year-old Lester McGee. Suspect(s) wanted in Shreveport Domino's Pizza Murder. McGee was killed while making a pizza delivery on Saturday night. The Violent Crimes Investigators were able to grab surveillance footage of the incident where it shows the two suspects at the scene. A $1,000 reward is being offered by the Shreveport Caddo Crime Stoppers, and an additional $7,500 reward from Domino’s Pizza for information leading to the identity and arrest of the suspects that are responsible for this crime. 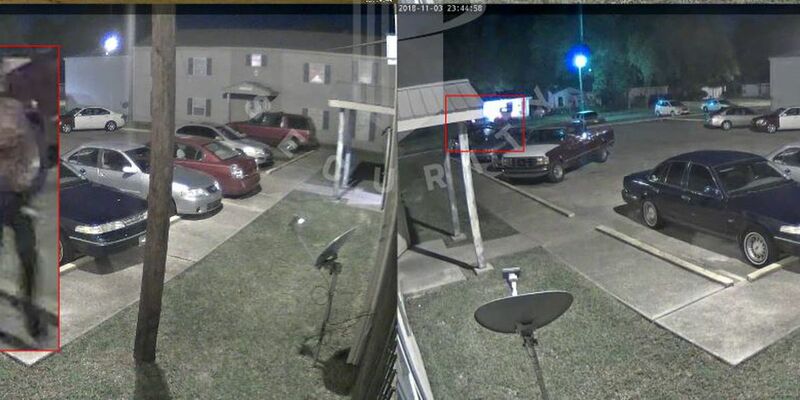 Anyone with information is urged to contact Crime Stoppers (318) 673-7373.